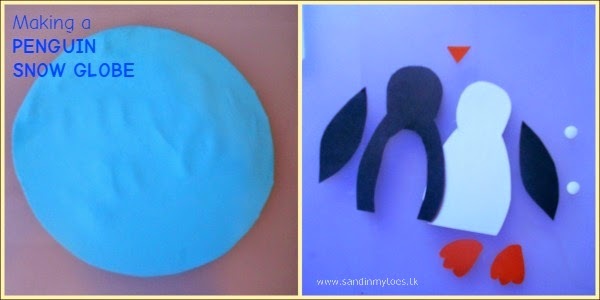 Penguins are so adorable - I knew we had to make something with them during our craft sessions! So, when I saw this penguin snow globe on Parents.com, inspiration struck. Their penguins are made from pipe cleaners, but our version is a little different. 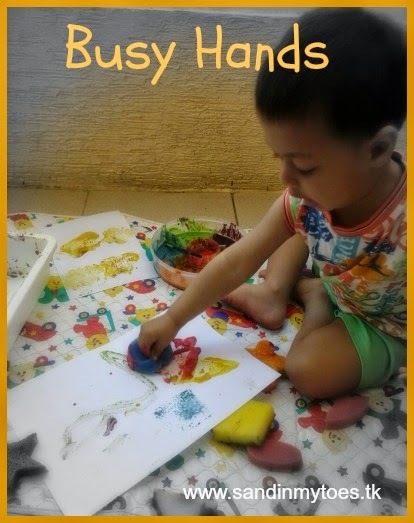 At the outset, I must say that this isn't a craft that toddlers can do mostly on their own, but it's a good project for school-going children. Either way, it makes a nice DIY gift or toy. 1. Cut the plastic bottle, removing the neck. We used a clear plastic juice bottle, which was square. A round one would also look good. 2. Paste the blue paper on thick cardboard and cut into a circle large enough to go under the bottle. 3. Cut out the penguin outline and stick on thick cardboard. This is important to make the penguin stand upright. 4. Cut out the eyes (we used a hole punch), beak, flippers, and feet as shown below. 5. Cut out the blue paper to put behind the penguin in the globe. It's shape and size depends on your bottle. 6. We decorated it with blue crystal stickers that we had, but you can also use glitter. We glued them on because these particular stickers tend to fall off easily! 7. Stick this inside the bottle with cellotape. 8. Assemble the penguin - stick on the body, eyes, beak, and flippers. 9. Glue the feet on to the blue circle cardboard. 10. Make the penguin stand upright by folding a small strip of cardboard and sticking it behind the penguin. 11. To make the 'snow' we used a Thermocol sheet we had and tore it into small bits. 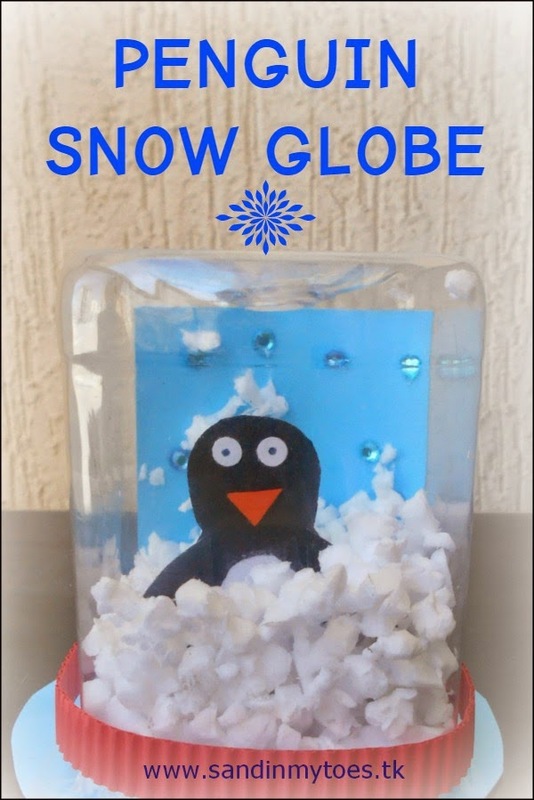 You can also use ready made Thermocol or Styrofoam balls or fake snow for your snow globe. 12. After filling the snow into the globe (this was Little Dude's favourite part, so there's lots of it! 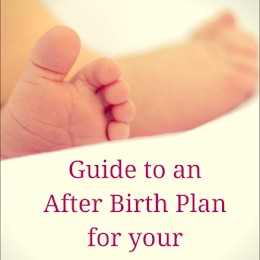 ), we stuck the bottle on to the circle card. It didn't stay very well with glue, so I used cellotape. 13. Lastly, I added a strip of red corrugated paper that I haven't been able to use anywhere else! You can also tie a ribbon around it. Your Penguin Snow Globe is ready! As you can see, we recycled a lot of things from around the house. Be creative and look for things you can use too. If you are looking for more winter crafts to do with your kids, check out this Snowman Texture Art, and this Invitation to create Christmas Trees, which has a free printable included. 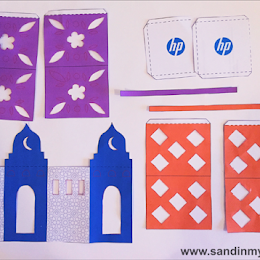 So cute and fun to do. Love it! 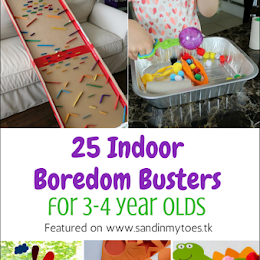 What a great fun idea. He looks so cute too. Oh thats so cute - Z loves penguins so I think he'd love to do this!! Oh yes, they are not safe at all! Haha, well thank you for reading and sharing this, Mike! Ours may fall apart soon too! 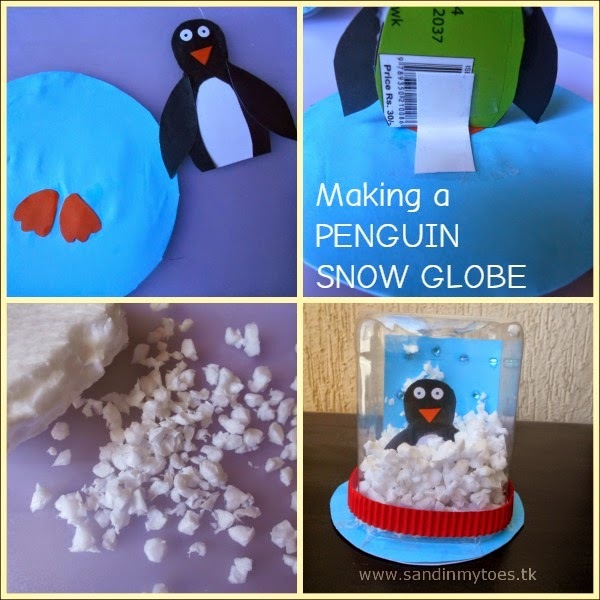 This Penguin in a snow globe is a cute idea. I would be fun to make snow globes with other animals also, like seals.